Pick a Runestone to determine how powerful your result will be. 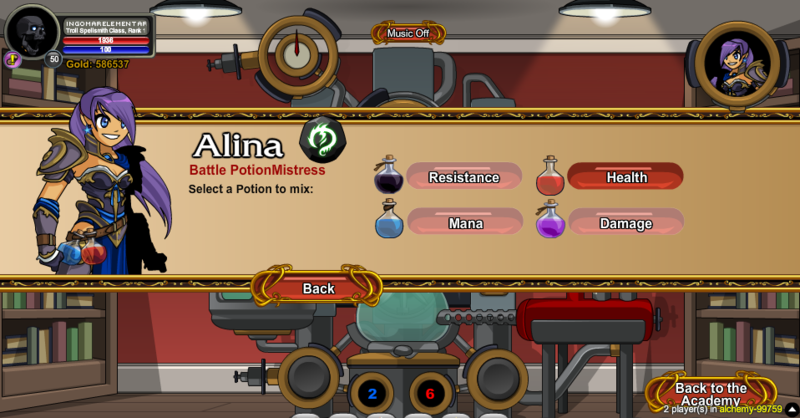 Select two reagents, to determine what kind of result you might get. 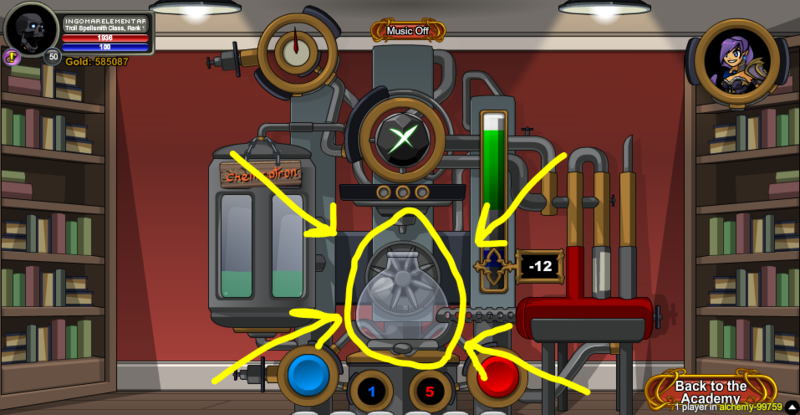 Fill up your bottle by heating the two reagents together. 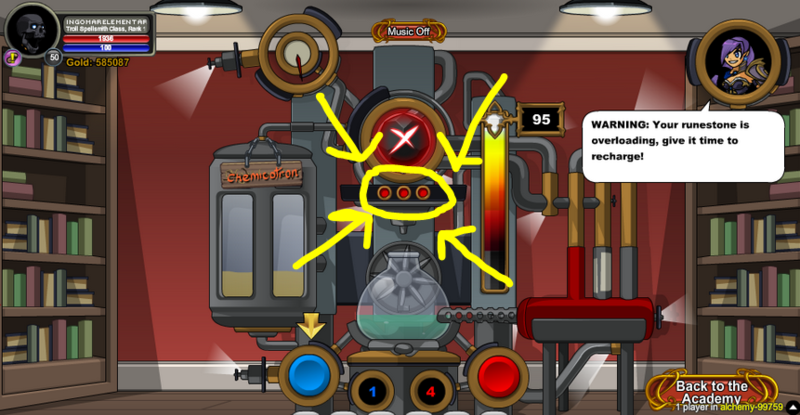 Click on the red button to shoot fireballs to heat up your reagents. 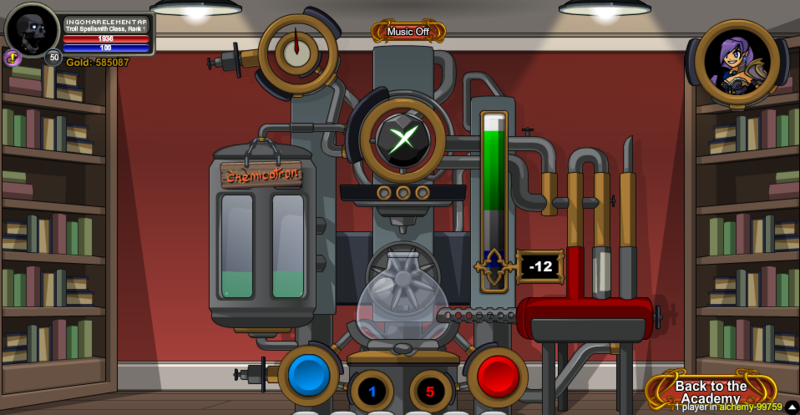 Click on the blue button to shoot ice to cool down your reagents. Keep the runestone from overheating. If you pick a regular runestone (Jera, Uruz, Fehu, Gebo), the more reputation it gives, the easier it is to overheat. 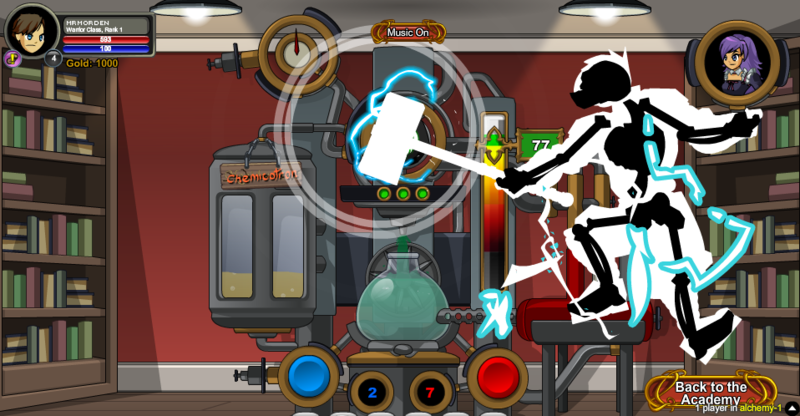 Using the Dragon Runestone will trigger certain animations. 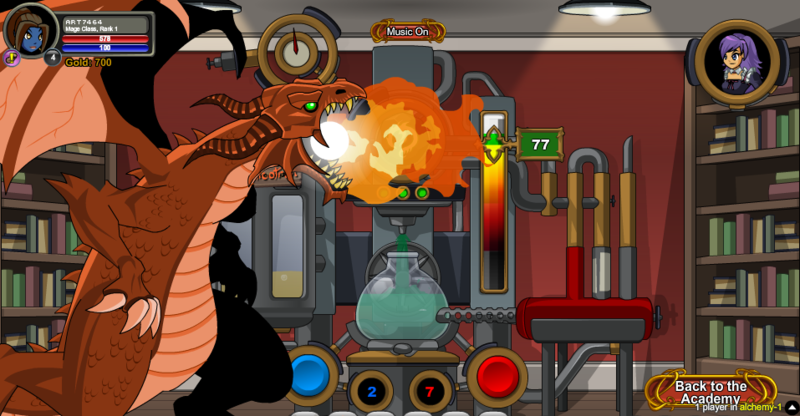 These animations will heat up your reagents to the ideal temperature until your bottle fills up. You do not have to do anything when using the Dragon Runestone. The runestone must be heated and in the green zone to fill up the bottle. 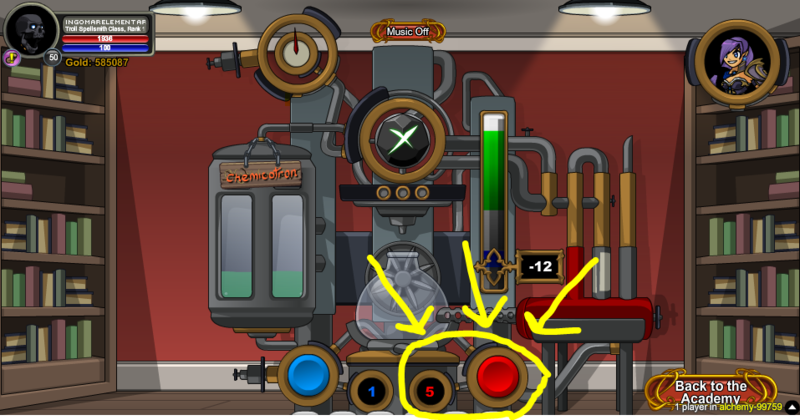 Mixing will stop if all of the lights are red or gray. The more lights that are green, the faster your bottle will fill up. 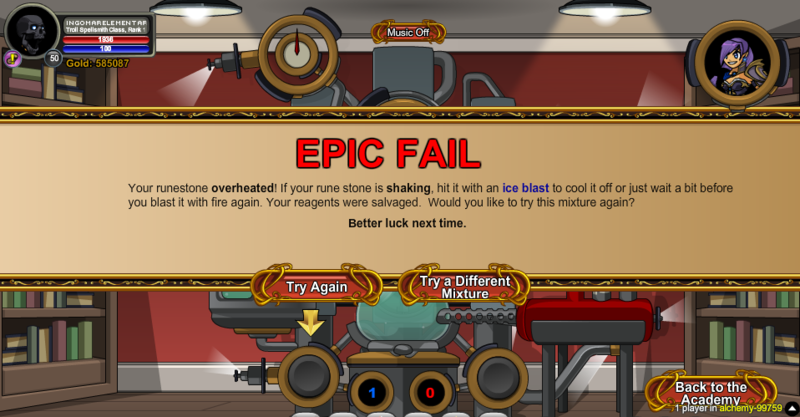 Fireballs will not always hit the runestone. If they don't, then the room bursts into flames, your meter goes up to 100, and you cannot do anything until it goes away. Ice will not always hit the runestone. 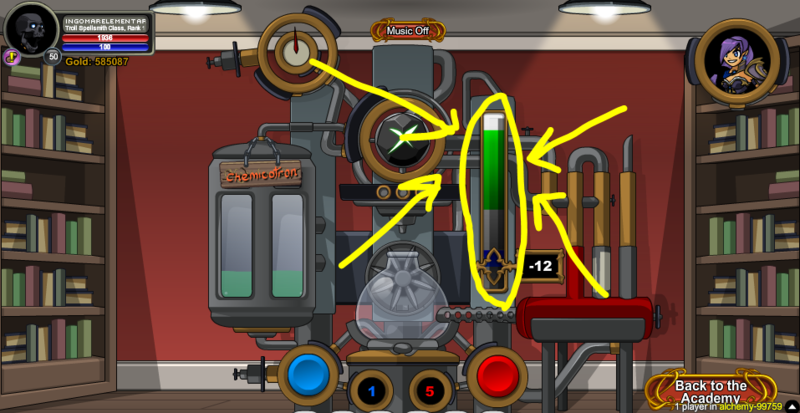 If it doesn't, then it freezes the bottle, your meter goes to -30, and you cannot do anything until it goes away. Fireballs recharge, ice does NOT recharge. You will NOT lose reagents if you fail. Sometimes Lim appears to comment. Alina also gives advice. 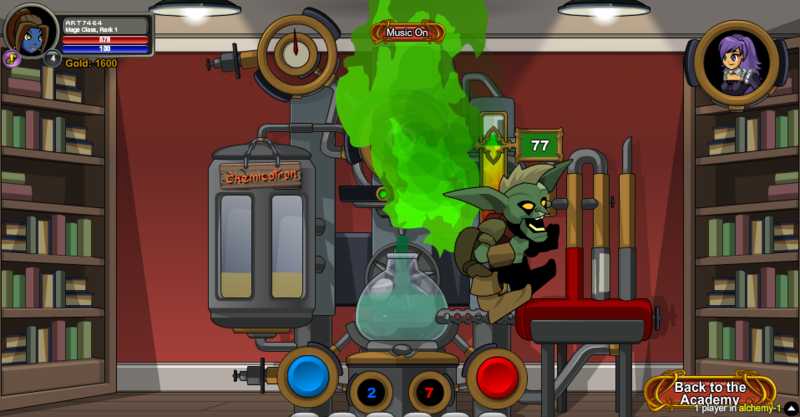 There is a chance to receive the Derp Lim character page badge after mixing reagents. 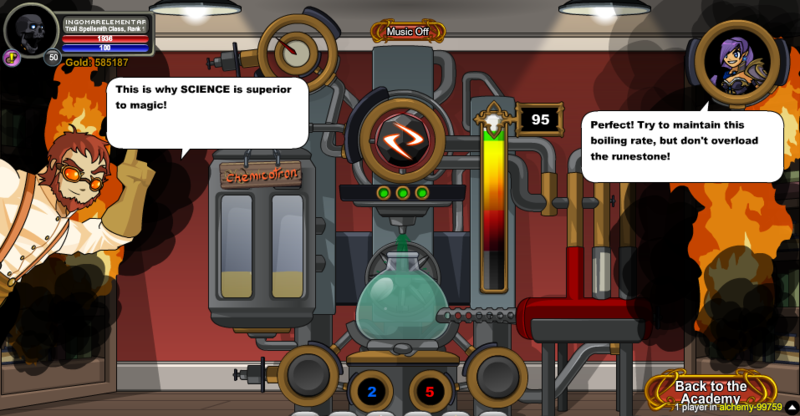 Go to the wiki page of the potion you want to make and look at its Base Level. 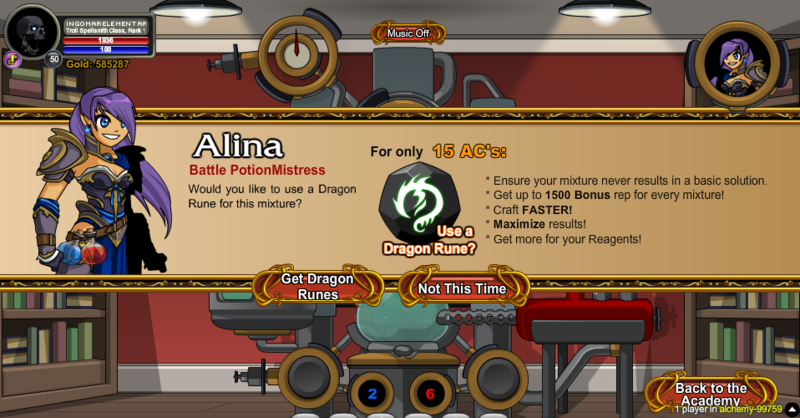 Select the appropriate rune that falls in line with the Base Level of the potion you want to make (for example, if the Base Level of a potion is Level 20, you pick the Rune of Uruz since it's used to make potions Level 16-25). Use the ingredients listed on that page to try and attempt to make the potion (we've received complaints in the past before that the ingredients aren't correct so please keep in mind that they may not be correct. 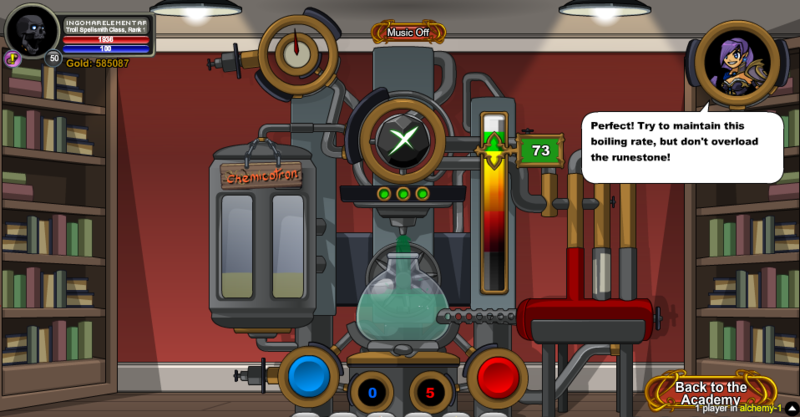 This is unfortunately out of mine and everybody's hands, I do not know the ingredients to every potion). You will also receive Alchemy Reputation based on the type of runestone you chose. 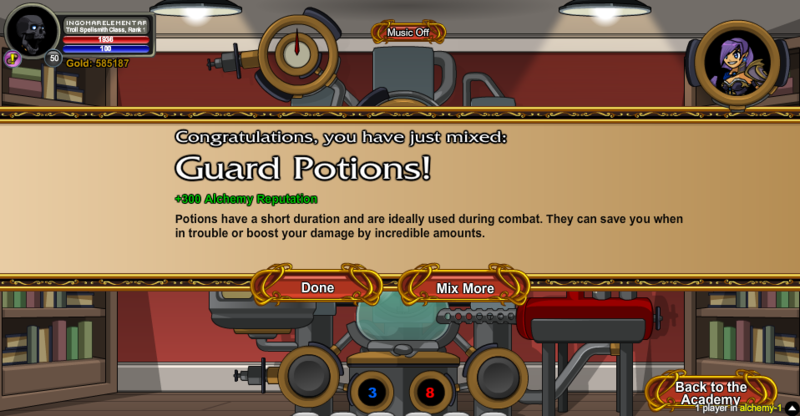 The text is different depending on what items you mixed together. 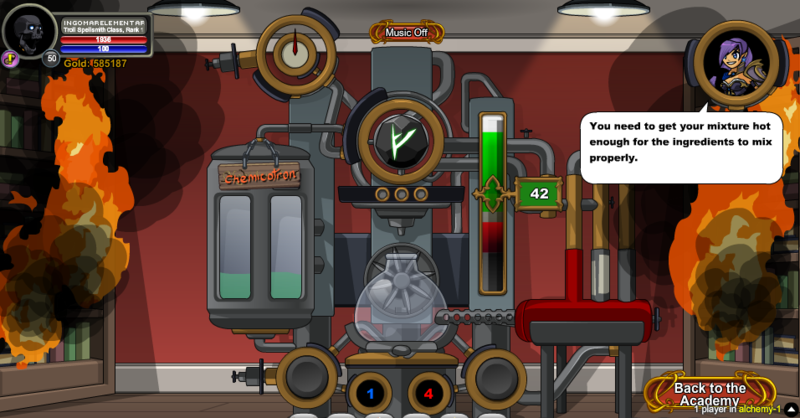 You will receive your reward on this screen, along with a quest completion. 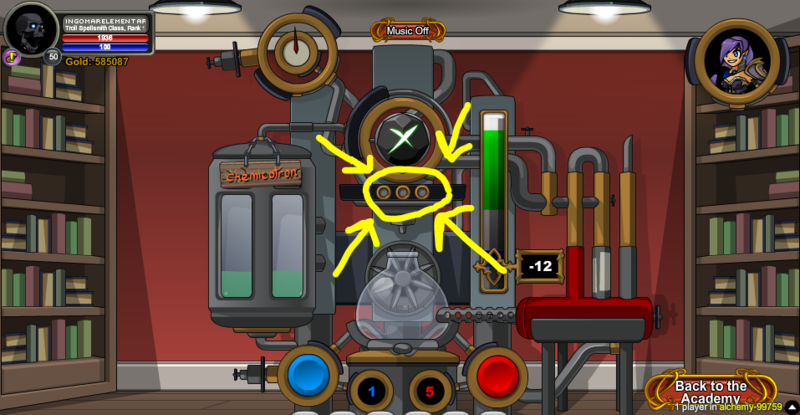 Note: If you know what kind of item you would like to make (potion/elixir/tonic), then do the following steps to have a very good chance to mix the type of item you want. Note: Click on the "Help Please" button to procede. Note: Click the "Potion" option on the "Choose What Type of Item" Screen. 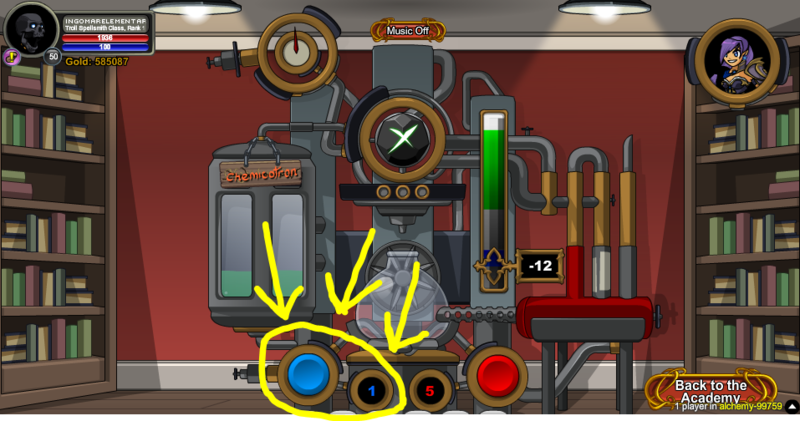 Note: Click the "Tonic" option on the "Choose What Type of Item" Screen. Note: Click the "Elixir" option on the "Choose What Type of Item" Screen. Note: The text is different depending on what items you mix together. Thanks to ingomarelementary, TheHatter3721, and XPoint.